Next month, a team of scientists will launch an expedition to the sunken Titanic. The goal will be to assess the condition of the vessel and to create a three-dimensional map in order for the public to better understand the layout of the ship. This 3d map will virtually recreate the Titanic and give new life to the almost 100 year old ship. The expedition will be the most scientifically advanced excursion to the Titanic shipwreck since it was discovered 25 years ago. Expected to last 20 days, the expedition will leave St. John’s, Newfoundland on August 18. The expedition has signed a partnership with RMS Titanic Inc., the company that has exclusive salvage rights to Titanic artifacts. Although the goal of the expedition is not to collect items, they will be probing a six mine square area where artifacts from the Titanic are still scattered. Looking to capture the Titanic story and preserve the integrity of the shipwreck, the expedition hopes to create a rendering of the Titanic that will act as the most accurate map of the vessel in history. After the Titanic sank in 1912, the wreck was discovered by Dr. Robert Ballard in 1985. Most of the expeditions since then have been to photograph the wreck or recover Titanic artifacts. 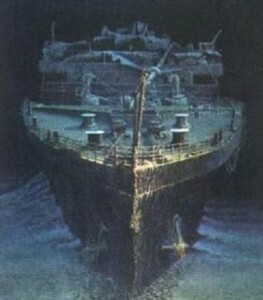 James Cameron also led teams to the sunken Titanic for shots to be used in the Titanic movie. 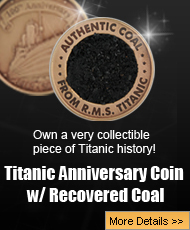 The last expedition to the Titanic was in 2004 where Titanic artifacts were discovered and are now displayed by a subsidiary of Premier Exhibitions of Atlanta. Organizer of the expedition David Gallo hopes to find out exactly what the state of the Titanic wreck is in using the latest in marine equipment. The expedition will involve a 250 foot research vessel, a crew of 20, and three submersibles using the latest sonar, acoustic, and filming technology. Because technology has advanced since the last dive to the Titanic, organizers believe that this will be one of the most successful and useful dives to the Titanic ever. Gallo also believes that this will be just one of many future trips to the Titanic wreck for the purposes of mapping the vessel and capturing its glory before the ship collapses to the ocean floor. Previous post: How Big was the Titanic?